Student Loan Forgiveness: Do you Qualify to Get your Student Debt Cancelled? When your student loan is forgiven, it means that the debt is canceled and you will no longer be obligated to pay it. There are quite a number of loan forgiveness programs today that encourage learners to pursue a career in fields that typically rake up huge student debts or even have lower wages in the job market. In return for years of services in an occupation or field, your student loan may be done away with in partly or entirely. In most cases, you may be required to provide several years of service in a qualifying occupation, career, or volunteer your services to a charity. These programs are designed to encourage young people not to shy away from pursuing careers that may offer low, courses that take longer than usual to complete, and those that can get quite expensive in the long run. Are you eligible for a loan forgiveness program? 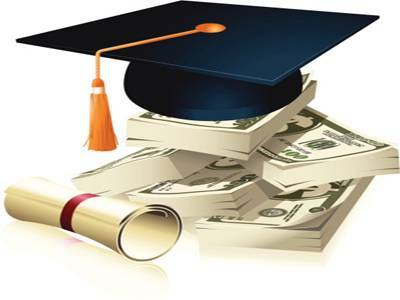 · You are pursuing or wish to pursue a public service related career but you are worried about the low the jobs in the sector have and wouldn’t wish to pile up your student debt. · You are presently involved in a volunteer-service job or hold a public service position but you have outstanding debt from college. · The occupation you are pursuing has a shortage of workers in your region or nationally or your career path is considered strategically important to the future of the country. If you think you have what it takes to get your study loan debt forgiven, there are basically to types of loan forgiveness options you should know about. These are upfront and backend loan forgiveness programs. An upfront loan forgiveness is just what the name hints—the cancellation of the student debt for the years of service you provide year by year. If you qualify for an upfront loan forgiveness, you could get a debt relief at a pre-set percentage e.g. 20 percent of the original loan amount or a fixed amount e.g. $5,000 for every year served. This means you can clear your entire loan by providing up to five years of service. Even if you do not complete the number of years required to fully settle your student loans, it would still be a big relief to enjoy your student loan relief for the duration that you have served. A good example of an upfront student debt cancellation program is LRAP (Loan Repayment Assistance Programs). The backend forgiveness system cancels any outstanding student loan debt you may have after a certain number of years in service. This is an all or nothing kind of benefit that demands that you complete a stipulated number of years in service to be eligible for debt cancellation. A good example of a backend student loan forgiveness program is the PSLF (Public Service Loan Forgiveness). There are typically a number of other requirements an applicant is required to meet to qualify for student loan forgiveness. For instance, some programs require that applicants make several “qualifying monthly payments” to be approved. If you are considering applying for a loan forgiveness program, it is important to carefully weigh the pros and cons of the two types of benefits before making a commitment. The important difference to remember is the upfront forgiveness offers partial forgiveness for the years you serve while the backend system does not provide partial forgiveness if you do not meet the service provision requirements. There are many student loan debt forgiveness programs available today, each designed for individuals in specific situations. Before you make a commitment to sign up for a debt relief program, take the time to understand all the eligibility requirements as well as whether the available benefits suit your needs. Once you settle on a forgiveness program, ensure that all the payments you make are in accordance with the program rules and regulations. If you are not eligible for any forgiveness program, you may wish to research student loan discharge options as a viable option to cancel your student loan debt. You can begin by contacting your loan service office for information, possible options, and directions.